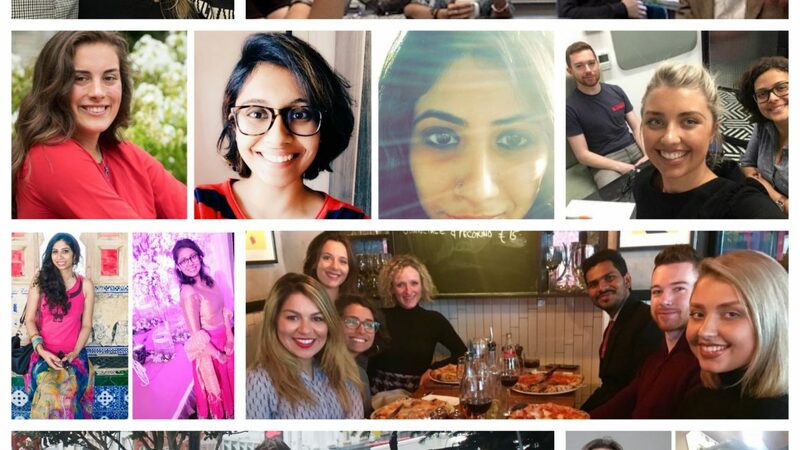 As Priyanka, Abby and Ashima complete their internships today, they share their experiences of the last few months with Abodoo… and as this will be the last of our Confessions of a SmartWorking Interns series, our CDO Louise has a special message for them all..
Over the last 9 months I’ve had the absolute privilege of working with you all. Your dedication, professionalism and enthusiasm have been outstanding and I’d like to take this opportunity, on behalf of everyone at Abodoo, to thank each and every one of you: Priyanka, Ashima, Abby, Vithoria, Shivtej, Lilian, Flavia, and of course Chloe and Thomas who started this wonderful series. Your passion, laughter, articles, infographics, designs, social posts, reports, data analysis and dedication have helped grow the Abodoo brand from strength to strength and we’re so grateful to you all. Today I create my final intern confessions post for Abodoo. Although this is a sad moment because my beautiful journey with this company is at the end of the road, it is also one filled with joy. Joy because I had the wonderful opportunity to create beautiful memories with this amazing group of people that feel more like family than co-workers. And although we might never work together again, I know that I have created bonds that will last a lifetime. The journey with Abodoo has been one filled with so much learning and knowledge. I have come away richer in terms of the things that I learnt, the things that I came to understand and the amazing insights that I received from all my colleagues. These 3 months went by like a breeze. It feels like only yesterday that I met the team for the first time at a co-working space in Dublin. And today, as I conclude my internship, I know that this isn’t the end. I have made such beautiful friendships along the way, and wonderful memories to go along with them. These I cherish for a lifetime. I feel truly blessed to have been given this opportunity. I thank my colleagues for everything they taught me, and my dear readers for showing our posts so much love. Happy Friday everyone! I just got back to the states from Canada! I spent a long weekend in Toronto with my best friend while we are on spring break from college. If you are ever in Toronto, sights you must see include the view from the top of the CN tower, Ripley’s Believe it or Not aquarium, and the Kensington Market thrift stores. It was an incredible weekend and I can’t wait to visit the city again! I’m feeling rather bittersweet as my internship at Abodoo is coming to an end. This internship has opened my eyes to the world of flexible working. Now I understand how easy and accessible professional work in the non-traditional sphere is. I can work from anywhere at anytime at my own convenience. I have also mastered the art of blog posts and professional social media account management. The best part of my internship has been the incredible team I’ve worked with and the exposure to remote working and all of the benefits it has to offer. I hope you all can take advantage of the professional working shift our world is experiencing now! Farewell for now! I can’t put in words how much Abodoo taught me in these last few months. Abodoo improved my skills, taught me new ones and helped me rediscovered myself and my career. It’s not a fuss when we tell here that our team is a family. We actually are, and working with them is comforting and an absolute pleasure. We have passion in our hearts and we believe in Abodoo and that’s what makes us and our brand unique. And of course the Smart Working, which is the cherry on top! Hello all, it’s been quite a while since I’ve written to you all and it’s my pleasure to do so again. I am and I will always be part of Abodoo family. I have worked with a couple of companies and Abodoo was the first among them to offer me a smart working option, with which I was not familiar. Initially it took time to adjust to this home working environment but I quickly realised that it boosts my productivity, quality of work and personal well being. I am lucky to be working with the best people in the world and Abodoo as a company has a great culture. Every moment our team is there to help you. Smart Working is not only a viable working option, it’s a freedom which a company gives you to mange your time according to life and your priorities. I have observed that a lot of companies have started providing smart working opportunities in Ireland and around the world. Thank you to Abodoo and Louise who gave me this new experience as a smart worker. I am a believer, and I strongly believe that to get something amazing, you don’t have to let go of something amazing. Yes, you can have your cake and eat it too. My internship at Abodoo is proof of that. Three months at Abodoo have ended, interestingly with me being back in Dublin. I spent two months being home in India, preparing for my brother’s wedding, and SmartWorking for Abodoo at no personal costs. I guess the only sacrifice I ever had to make for this job was that of any hang-ups I had about remote working. These have been a few memorable weeks and I will cherish my time spent with some of the smartest and most compassionate people that I’ve ever met. All the best to team Abodoo and hope that you soar new heights at the same pace as you have reached this far.